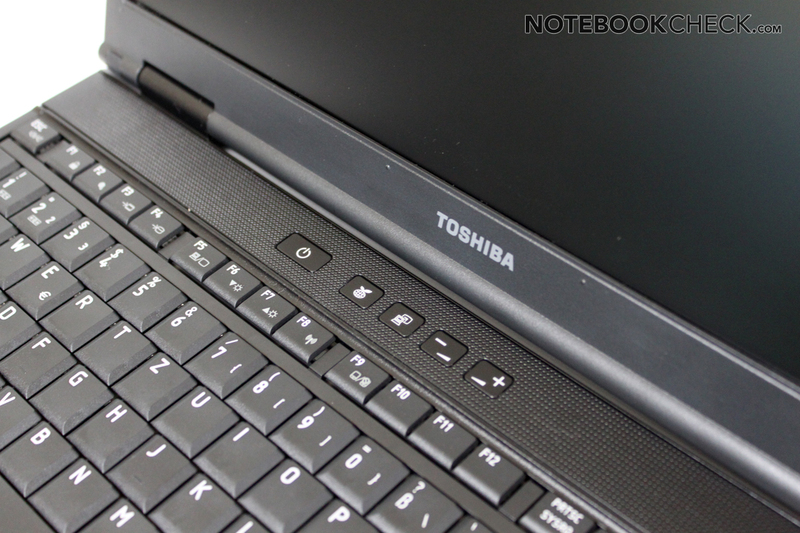 The Tecra notebook from Toshiba, the Japanese giant, is a reliable office companion. The current A11 series attempts to attract buyers with its price range and the business quality features such as the sturdy case and the extensive connectivity options. Cheap business machines are currently the trend. Almost all notable producers have such business companions on sale. Dell offers the Vostro, HP the extensive white ProBook, Lenovo just leaves Thinkpad out of the name. Toshiba sticks with the Tecra title and adds an additional A11 at the end to specify the current business models. Toshiba also offers models from the M10 and the S11 series, both of which are ranked above the new A11 series. The S11 series also has a slightly better professional NVidia graphics card. The description of the series is identical in the US area. However, the model abbreviation are no longer identical. So, every different abbreviation offers a completely different configuration. For example, a model with Nvidia Quadro NVS 2100 graphics is offered, which is not available as of yet in the European market. 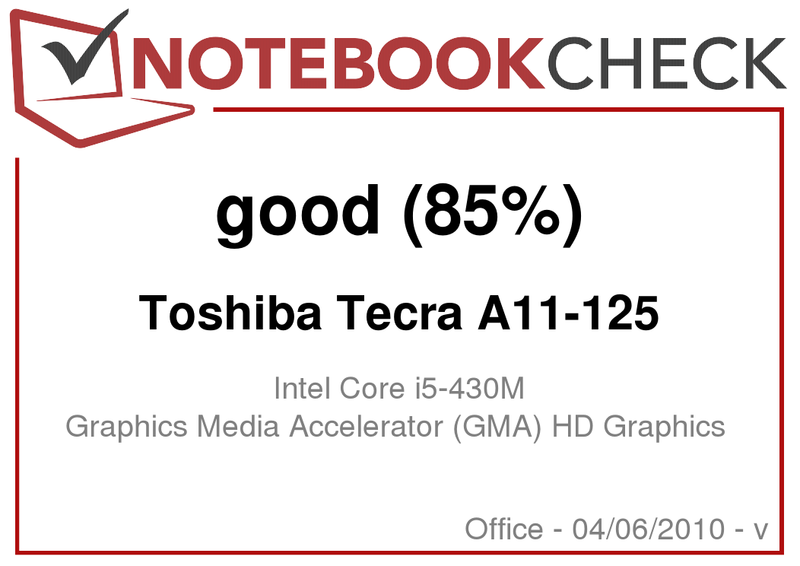 Our test sample has the name Tecra A11-125 and is equipped with a Intel Core i5-430M, 4GB RAM, a 320GB HDD and integrated Intel GMA HD graphics chip. All-in-all a reliable office hardware combination and in many places, student buyers can buy the laptop for a lower price if they present the appropriate proof. The „Teach-It“ model A11-125 offers a price advantage and the possibility of a guarantee extension. 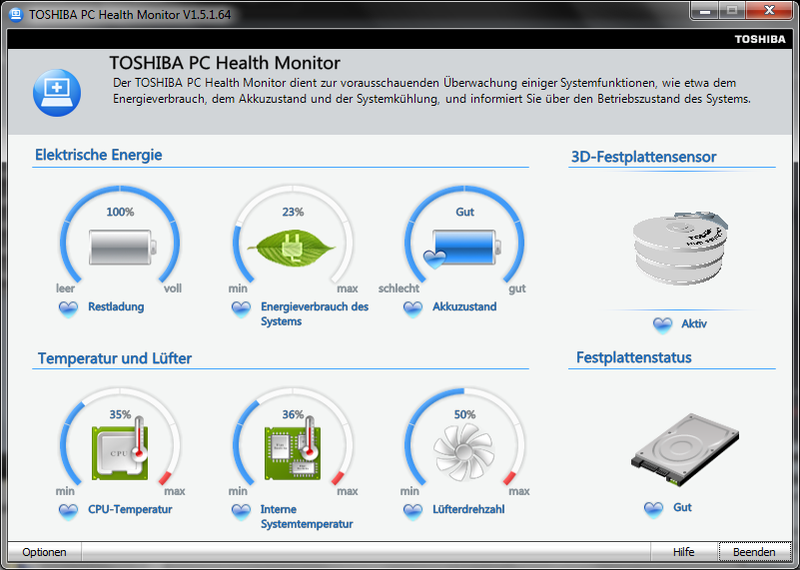 The 36 months "bring-in" guarantee for Tecra is a bonus which Toshiba is proudly proclaiming to all its customers. The "normal" models are sadly only given a 24 months manufacturer guarantee and the guarantee can be extended to 3, or 4, years for 172 and 276 euros respectively (D/AT). The double guarantee offered by Toshiba should be mentioned at this point. If the device fails and is covered by the guarantee, then the user would receive his/her full payment back and also the repaired device back. The only condition is a registration within a week of the purchase date. 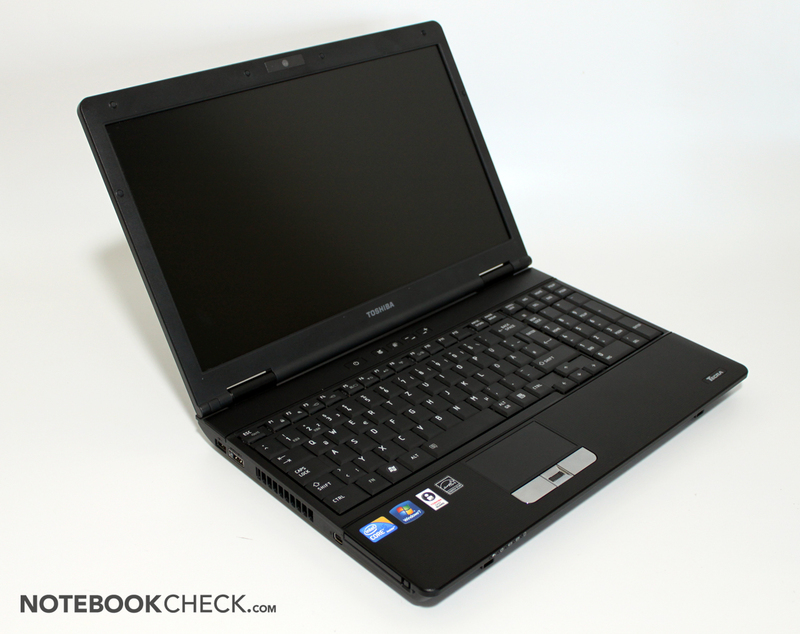 The Tecra A11 can be classified optically as a office/business notebook with just a single glance. Decorations and glossy surfaces are completely left out of the notebook and thus emphasize its business image. Toshiba tried to add a little spice to the case, made of a synthetic material, by giving the surface of the display cover and the hand-rest regions a well-designed rough finish, which feels very good and prevents fingerprints and smudges to take up residence on the laptop. The case is also strong enough to resist most scratches or other similar ugly markings. Even though the surface of the Tecra A11 is made of a synthetic material, the case still offers a sturdy feel. Only the bottom side of the laptop gives way when it is put under heavy pressure from a pointy object. The hinges also manage to hold the display properly, even if at a first glance the user gets the impression that the synthetic hinges would be unable to hold the display properly. The display allows itself to be opened with an appropriate amount of force and remains closed, when in the closed position, with almost no perceivable movement. Even the tension, which holds the display closed in the closed state, is enough to hold the display. This is important as there is no locking mechanism to completely secure the display. Even though the notebook looks slim and mobile, the measurements convey a different story. The case is up to 37.6 mm thick near the back and the weight lies close to 2.6 kg (without the power adapter which weighs an additional 470 grams). So in the end, the laptop is not exactly a light-weight. The Tecra A11 managed to convince us with its extensive and well-placed ports. 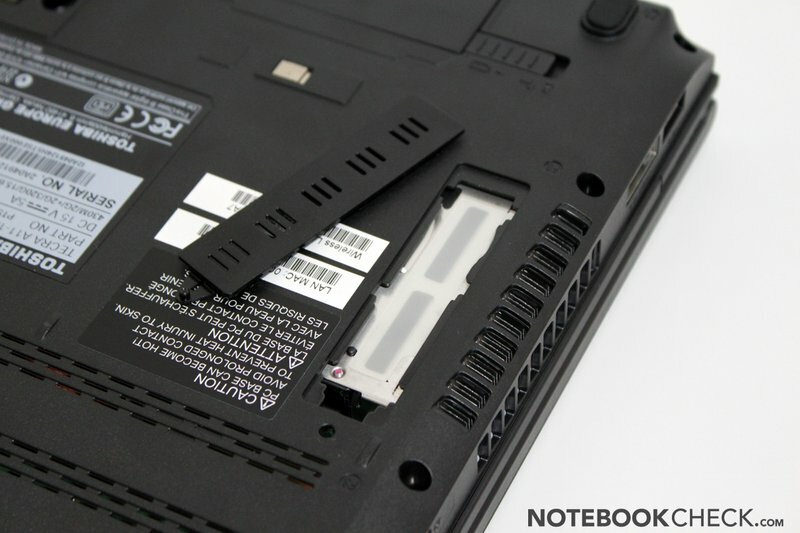 The ports which are usually in use, such as the VGA, power outlet and the LAN port, are placed near the back of the laptop. 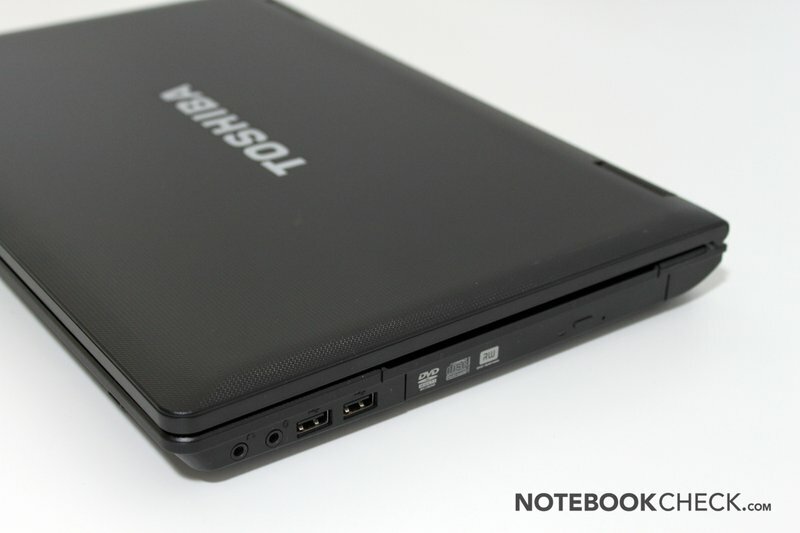 The notebook also offers 3 USB ports and an eSATA/USB combination port (which have a "Sleep and Charge" feature), and also a mini-display port. 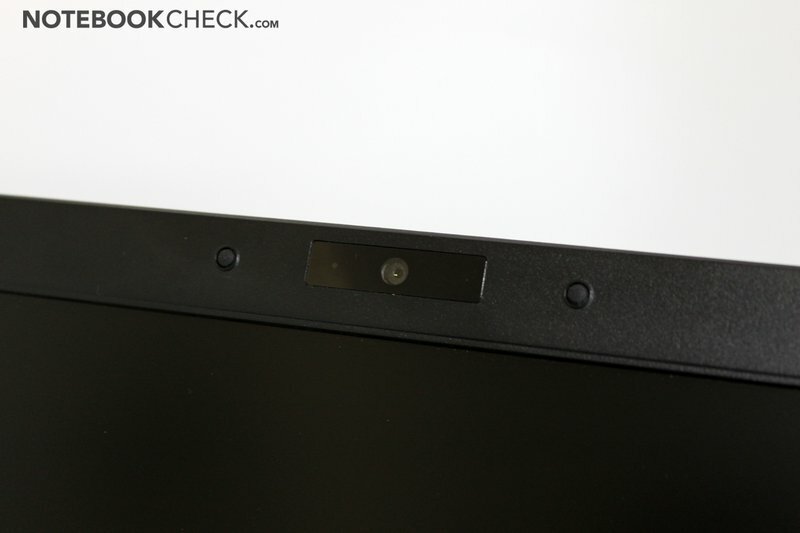 The laptop earns additional points thanks to its serial interface (which is hard to find in laptops these days) and the docking port at the bottom of the Tecra A11. A 54mm Expresscard interface and a Multi-Cardreader which read most of the common memory modules round out the ports offered on the Tecra A11. The communication modules installed in the Tecra A11 are appropriate for a business class model. 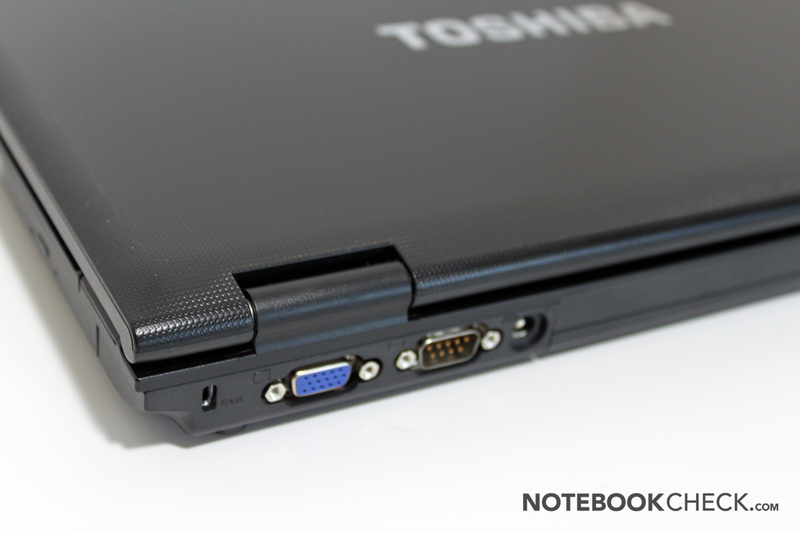 The laptop comes with Gigabit Ethernet, Bluetooth and a WLAN module which supports a/b/g/n standards. These communication modules fulfill most, if not all, of the users cable or wireless needs. The only issue here could be the missing UMTS module (which allows wireless broadband internet). However, this integrated module is missing in all of the other current models too. 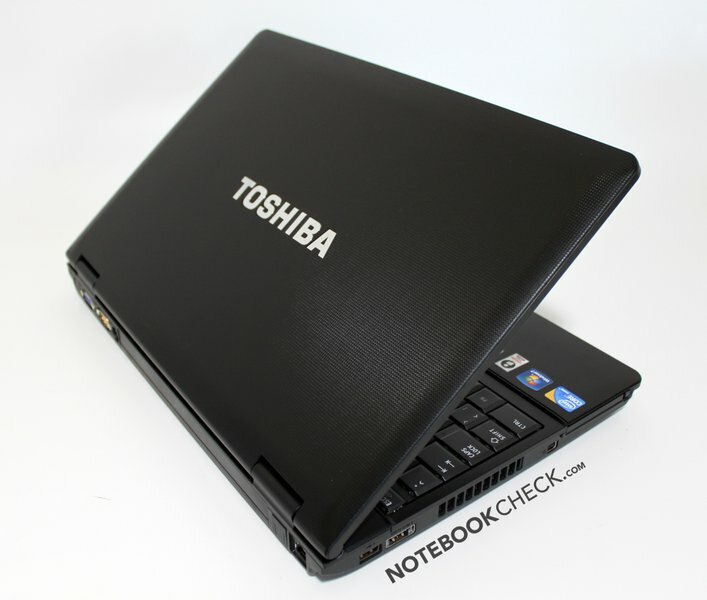 The OS used by Toshiba for the Tecra A11 is Windows 7 Professional 64-bit. 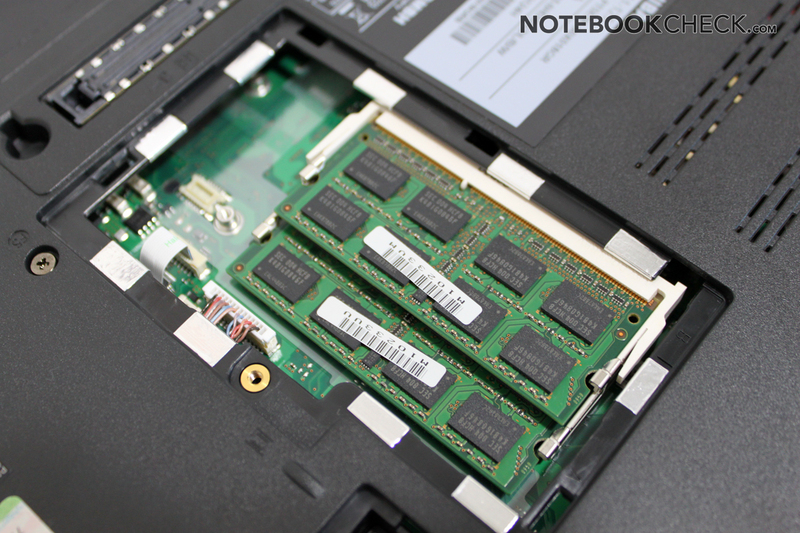 Thus, the 4 GB of RAM in the notebook can be fully recognized and utilized to achieve the optimal performance. The various advertisement shortcuts (such as Ebay, Skype, Amazon, etc.) and the other pre-installed software did not seem very businesslike to us. Especially, the pre-installed Internet Explorer is very slow due to a variety of addons which are mostly not used and the browser has a tendency of swallowing characters during typing. 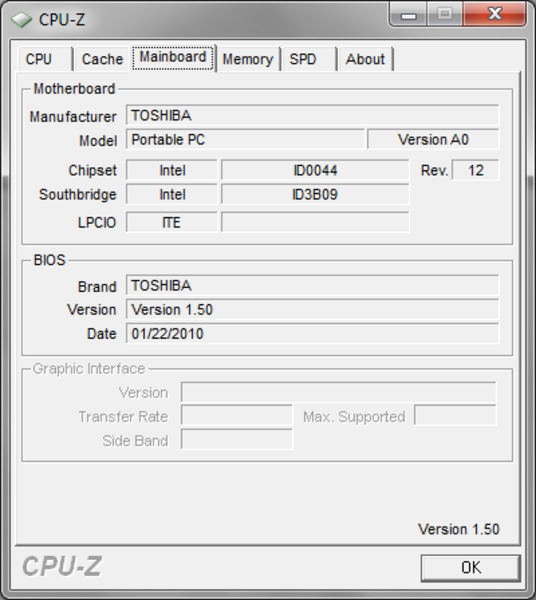 However, the "Toshiba Tools" designed by Toshiba are definitely a good extra, as this tool provides the user with easy access to a variety of options. 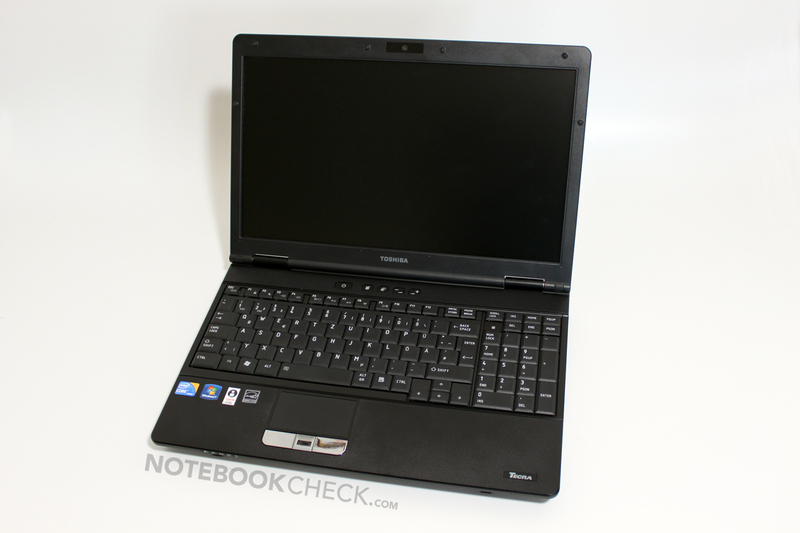 The Toshiba DVD Player, the Toshiba Board, the eco Utility, the Connectivity Doctor or the Toshiba „ReelTime“, which shows a list of the recent activities on the laptop and allows the user to view and access recently used programs or files, etc. are all very good and useful features. ReelTime shows a history table which gives the user access to files and programs which have recently used. One of the most important features of a office notebook is the quality of the input devices offered on the device. 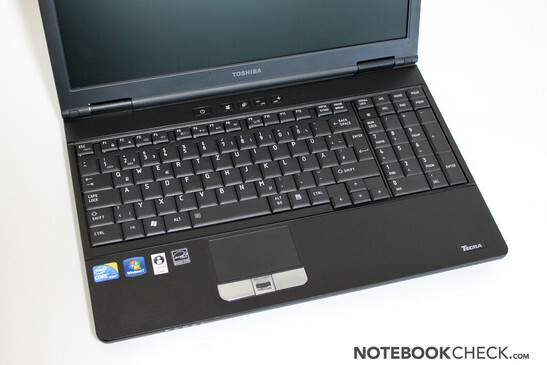 Two points are worthy of note in the keyboard of the Tecra A11: the 15.6 inch case of the laptop accomodates a seperate number block, and the layout of the keyboard is in the "Chocolate-Design" from Toshiba. The typing feel is distinct and offers a very clear pressure point. The stroke distance is very large for a notebook and is almost like that of a desktop keyboard. The typing noise is very quiet and remains indistinct even during an energetic typing session. Plus, the keyboard barely gives way under pressure. The layout and the size of the keys is also good. Only the space bar could have been a bit bigger. The fact that the keyboard is firmly secured in the case is another plus point. This is sadly not always the case with laptops. The touchpad, designed by Alps-Electric, offers a very smooth and slide-friendly surface but has no multi-touch functionality. However, the multi-touch functionality is hardly an issue for office users. The driver of the touchpad offers the user a variety of option for the customization of the touchpad so as to get the perfect result for every individual user. However, we felt that the manufacturer settings were good enough so we left it at that. 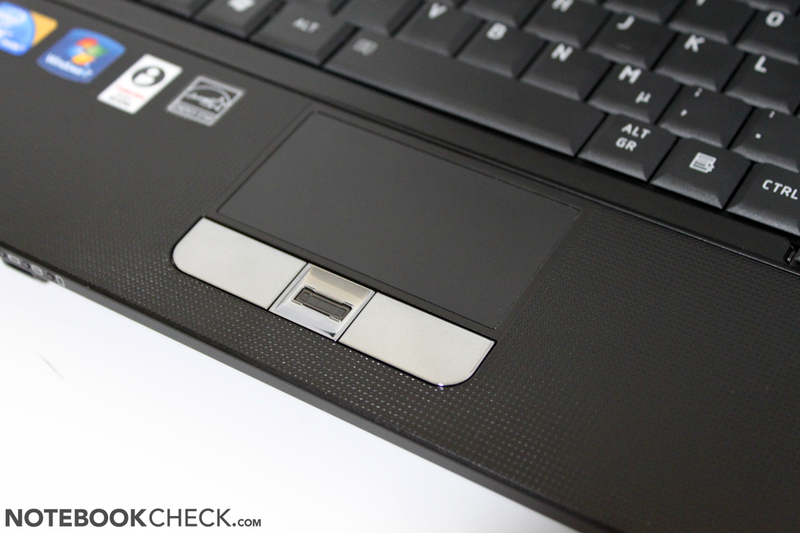 The keys under the touchpad have a very distinct pressure point, and, according to us, need too much force. In the middle, between the keys, a fingerprint reader is positioned for security purposes. 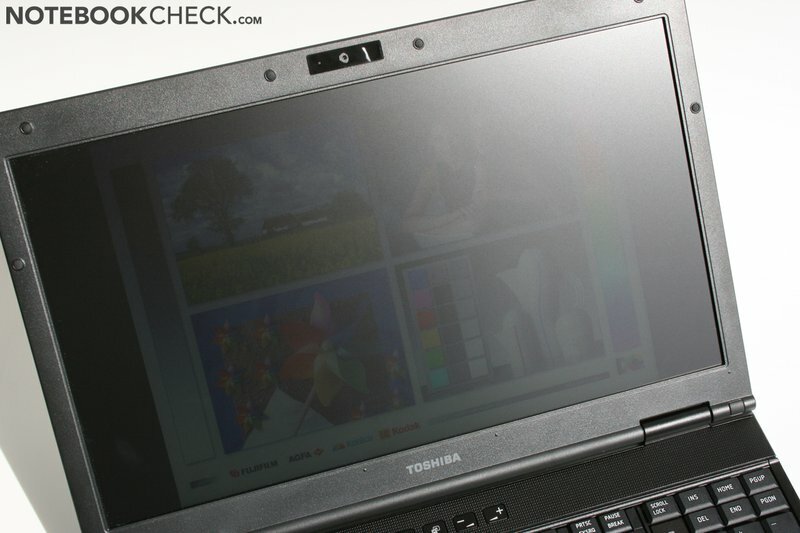 On the German homepage of Toshiba, all the models of the Tecra A11 are equipped with the same "39,6cm (15,6 inch) | Toshiba HD TFT high brightness screen with LED backlight and 16 : 9 picture format“. The display also has a matt panel (TOS5091) with a maximum resolution of 1366x768 pixels. The "high brightness screen" probably means that the display can reach up to 200cd/m², to be more accurate, exactly 204 cd/m² was reached by our display in the brightness measurement test. Other models can reach higher values, however, as this laptop is intended for office use and is equipped with a matt panel, the maximum brightness value should suffice the users needs. The brightness of the display is good with a value of 82%. The maximum contrast offered is not as good though. The 152:1 ratio of the LED display is below average, and it leads to the modest maximum brightness and the too high black value of 1.34 cd/m². The subjective quality of the colour displayed on the screen suffers due to the matt display and the low constrast values. However, as long as the user is not using the laptop for picture editing, the notebook should suffice for most programs. The only sad part is that there is currently no model which offers a higher maximum resolution, which would make working with various windows and toolbars easier. Outdoors use is a possible due to the matt display and the brightness of around 200 cd/m². Direct sunlight would still make the user wish that the brightness was a little higher as that would lead to a better picture contrast. The viewing angle stability is not much better. 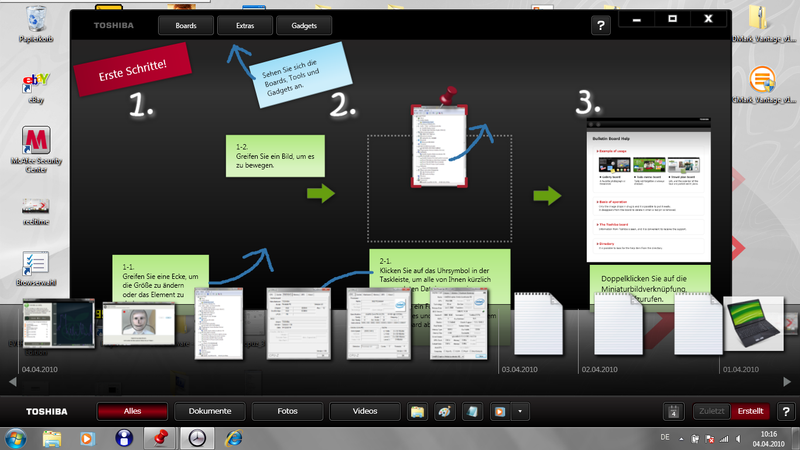 The display of the notebook shows weaknesses in both the vertical and the horizontal viewing areas. Changing the angle of the display can quickly lead to over illumination or a strong darkening of the picture, and in the horizontal region the user has to fight with heavy contrast loss at flat angles. 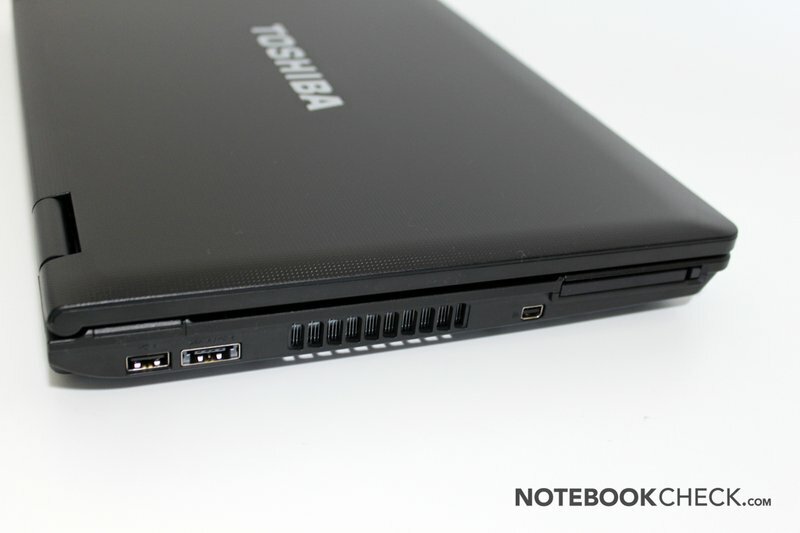 Although, Toshiba offers a long row of different models (the models are differentiated by their CPU, RAM and HDD), the Tecra A11 does not have even a single variation which looks different from the typical office laptop. The current Arrandale chips from Intel are being used for the Tecra A11, starting from the i3-330M to the i5-520M, and they provide a good performance solution. The i5 CPUs can be automatically overclocked (Turbo Boost), in which case, the single-core use of the CPU is overclocked and thus the performance in a specific program improves. All the model variations use the same CPU integrated Intel HD Graphics chip. This graphics module offers slightly more performance for less power than the commonly used GMA 4500MHD chipset graphics. This is due to the fact that this graphics chip is directly installed on the CPU unit and, therefore, no longer has to be controlled via the chipset. As the name indicates, the graphics module offers support for the decoding of HD videos such as MPEG-2, VC-1 and AVC, and, thereby, helps ease the CPU's load. That and the display of Windows-Aero effects are the main tasks of the graphics chip, as it does not have enough power for graphics intensive programs. This is obviously also the case when it comes to games. Current shooter or racing games are a little out of the Tecras league, but somewhat older games which require less graphics power can be played well on lower details. For example, Sims 3 could be run on the laptop. Even Counterstrike Source ran decently on the notebook. Further detailed information can be found in our games list. 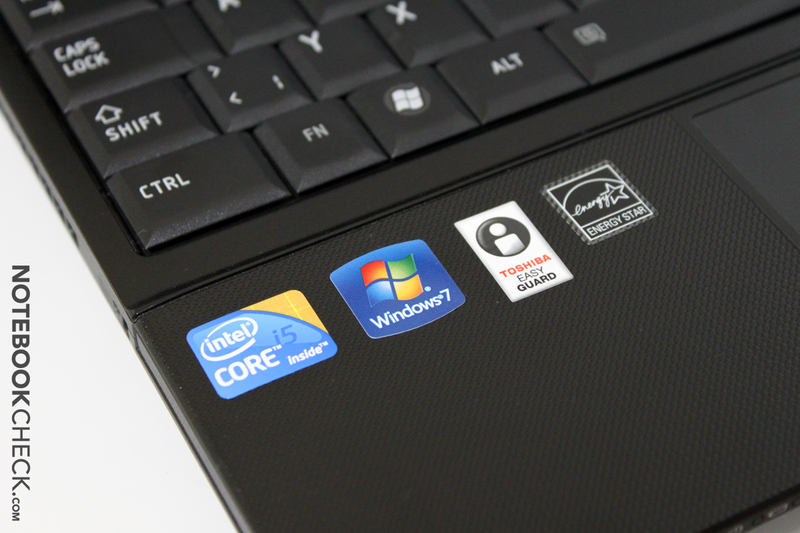 We tested how well office programs ran on the Tecra A11 with the PCMark Vantage benchmark. 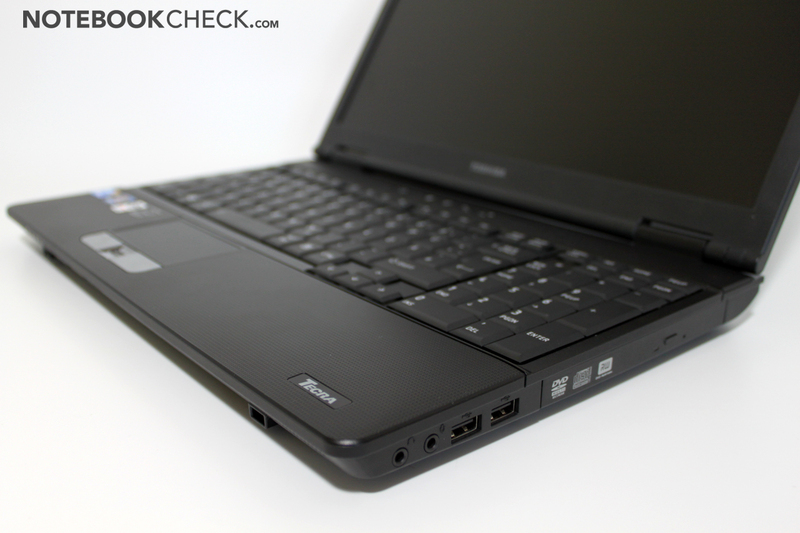 The 5676 points (64-bit) that the laptop scored indicates that the laptop is indeed powerful. This score is slightly higher than that of Lenovo's "Universal Business Maschine" Thinkpad T510 (i7-720M/NVS 3100M), and the W510 notebook (i7-820QM/FX880M) is ranked slightly higher than the Tecra. Both laptops mentioned above are supposed to rank higher than the Toshiba Tecra A11, and the fact that the laptop is able to keep up with them is positively surprising. However, the other benchmark results brought our optimism down quickly. Both versions of the Cinebench benchmark (the R10 and the current R11.5) indicated that the CPU can deliver decent performance but, the integrated Intel GMA HD Graphics chip fails miserably in the OpenGL Shading test. Still the integrated module performs almost twice as well as the GMA 4500M HD chipset graphics. Whatever the case may be, professional CAD users or constructors will definitely want to get a system with a good dedicated graphics chip (Nvidia Quadro, ATI FireGL). Rendering tasks or complex calculations will also need a stronger CPU. A quad-core CPU would be recommended in that case. 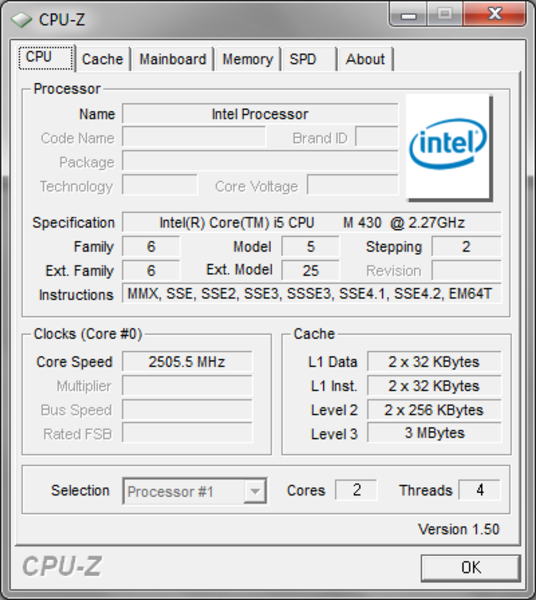 The currently fastest dual-core CPU from Intel, the i7-620M, can be found integrated in the Tecra S11 series. The graphics card remains in the middle-class region due to the modest performance of the integrated Nvidia NVS2100M graphics module. If the user wants more performance, he/she will have to look at laptops manufactured by other producers. 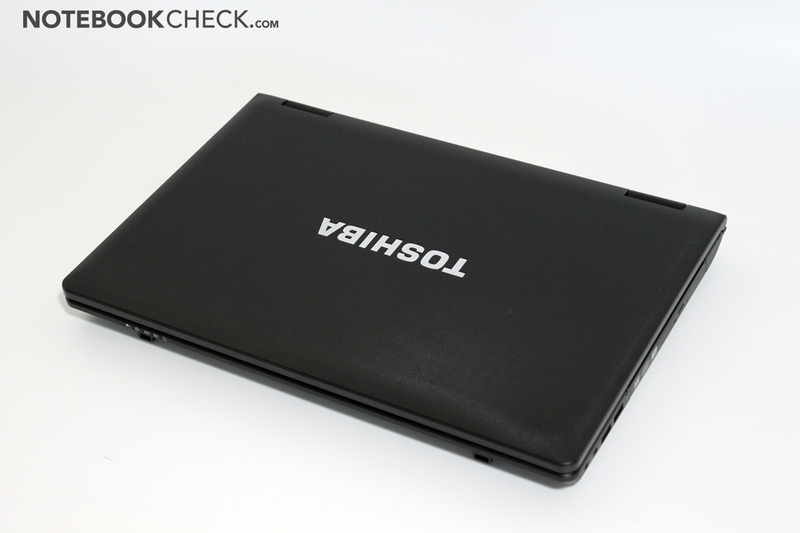 An example would be the Lenovo Thinkpad W510. The built-in hard disk also deserves some attention. The hard disk is from Hitachi and runs at 7200 rotations per minute. 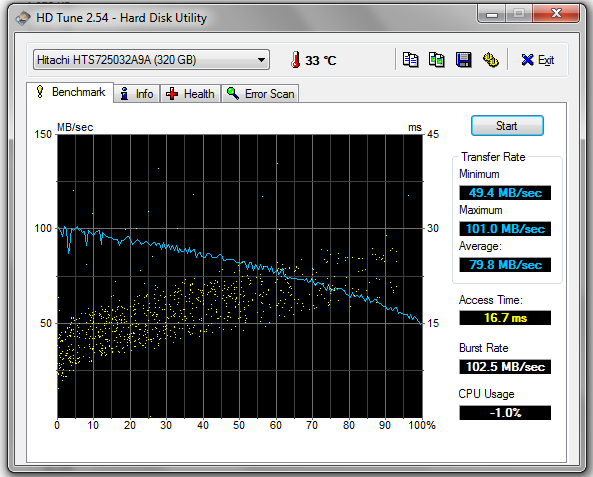 The 320 GB HDD delivers good results in the HDTune benchmark. The average transfer rate of 79.8 MB/s and the access time of 16.7 ms are both decent. Better results could be found in a few other hard disks or the much more expensive Solid State Drives (SSDs). The acceleration sensor ensures safety of the hardware and kept giving pop-ups till we deactivated the pop-up feature. In our DPC latency times test (using the DPC Latency Checker tool), the A11 had a lot of high peaks (up to 10000 microseconds), which can lead to problems when using external sound cards or video equipment. After deactivating the integrated WLAN module, the peaks vanished and the latency times remained under 1000 microseconds. Far Cry 2 only runs with minimum details and a resolution of 640x480 and even then it is not completely fluid. 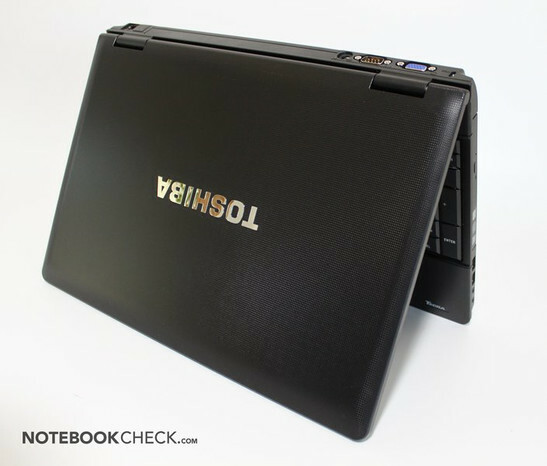 As the Tecra A11 is a notebook intended for business use, it is obvious that its gaming capability is not going to be amazing. Modern 3D games are just not meant to be played on the power-saving, integrated Intel HD graphics chip. The gaming performance is definitely better on this chip than it was on the older GMA 4500MHD, but it still remains rather modest. Demaning DirectX 10 and 11 games such as Risen, Call of Duty 6 - Modern Warfare 2 or Battlefield Bad Company 2, can only run at the lowest detail level and resolution, and even then they do not run smoothly. In fact the Need for Speed - Shift demo, ended even before the race started. Older, less demanding games such as Left 4 Dead can be run well on the Tecra A11 with the details level set at medium. Detailed benchmark results can be found here: Intel HD Graphics special site. 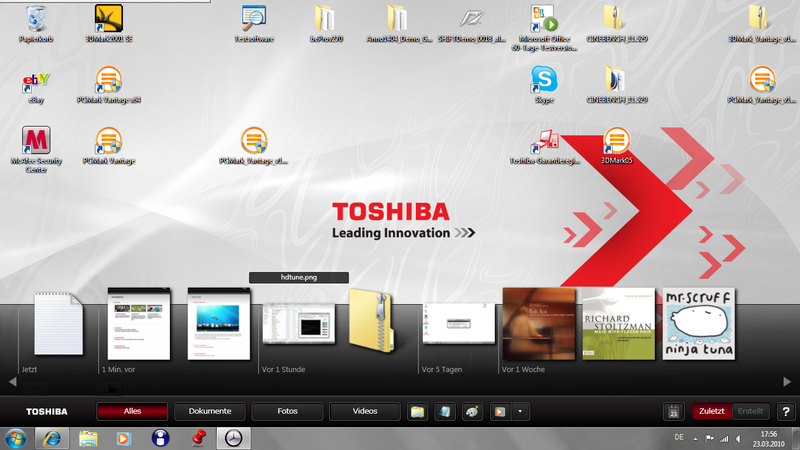 Toshiba chose to install a constantly running fan in the Tecra A11. The minimum noise emission for this fan is 3.1 dB, which makes it audible but not distracting. During normal usage, the system noise emission remains at around 35 dB and is thus well within limits. Under heavy usage (Furmark + Prime95), the cooling system can emit up to 44dB. 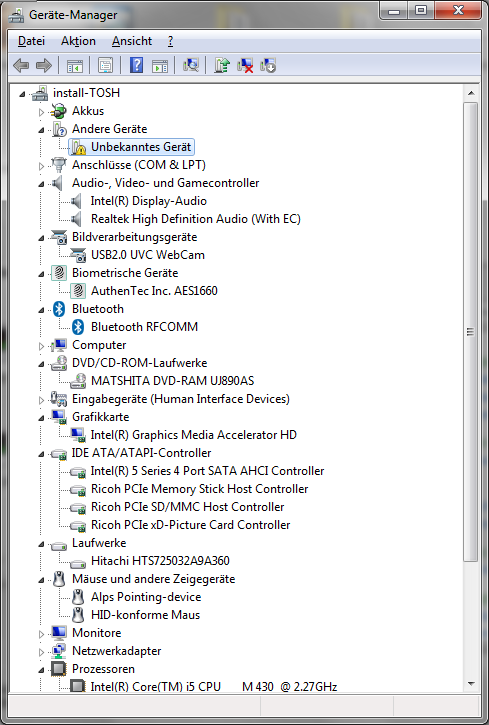 All-in-all, the system noise emission is low for most of the typical programs run on an office notebook, and does not distract the user from his/her work. The surface temperatures clearly indicate the fact that the cooler fan is always running. When the laptop is being used or is under light usage, the surface remains comfortably cool. Even after long, and extremely, heavy usage sessions the laptop surface heats up only slightly and should not be a cause for worry. 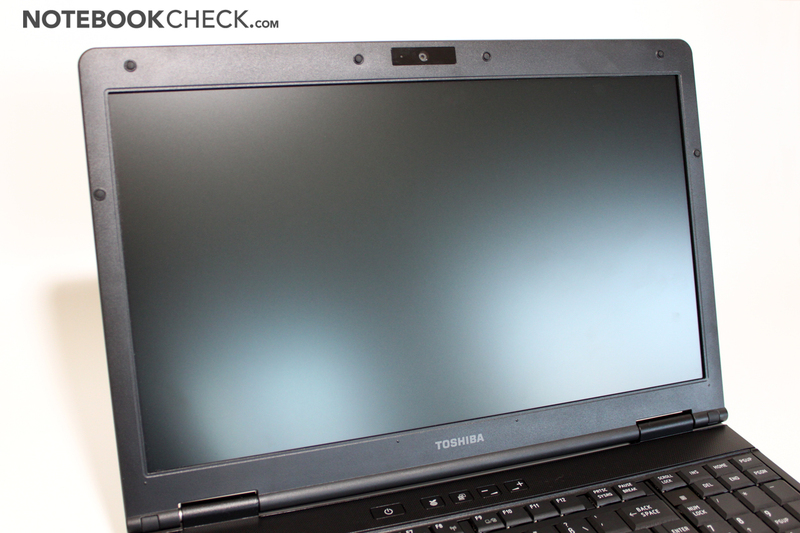 The in-built stereo speakers of the Toshiba Tecra A11 have clear weaknesses. They play loud enough, but above 50% of the total volume, the audio quality starts to suffer. The missing bass and the disturbance in the audio output, make the frontal speakers sound like a handy sound system. 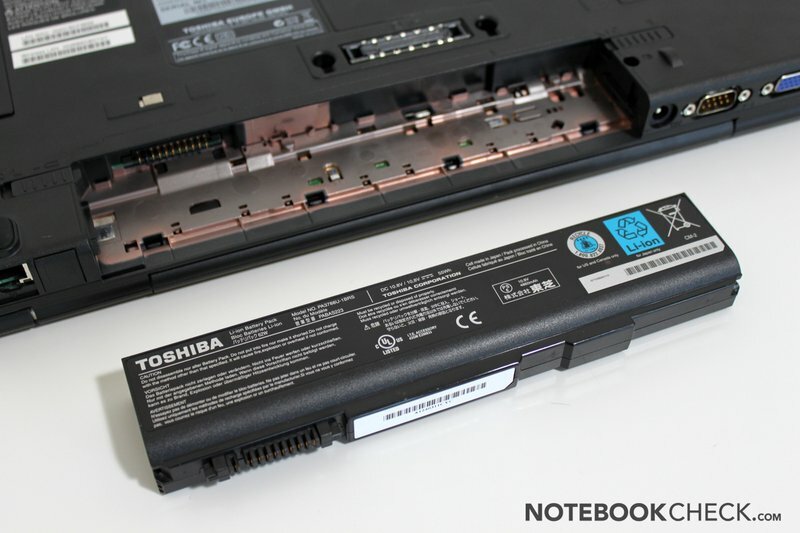 The battery life of the Toshiba A11 can last from one hour and 12 minutes till up to about 6 hours. Realistically, however, the user should expect 2-3 hours of use from the notebook. The mobile use of the laptop is thus somewhat restricted, but given the installed hardware in the notebook it is not much of a surprise that the 55 Wh battery does not last very long. 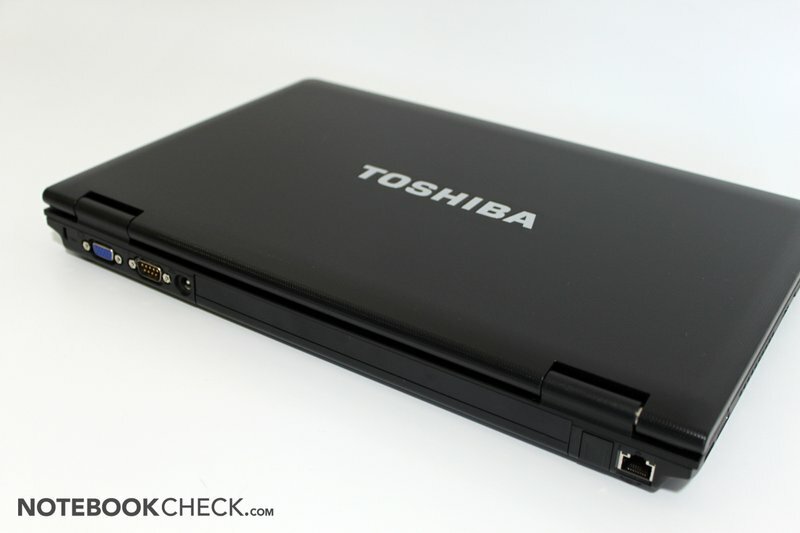 Toshiba follows the green IT trend and has its own "Eco Utility" installed on the laptop to watch over the power usage of the Tecra A11. 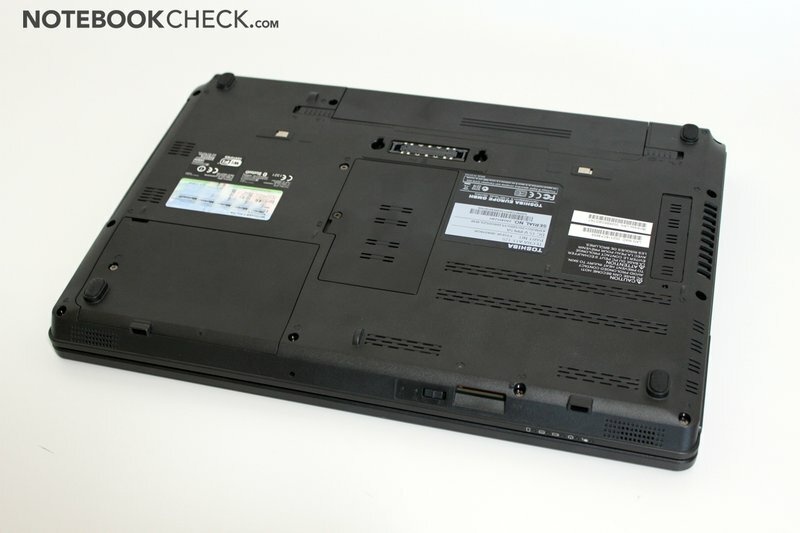 In our tests, the notebook had modest power consumption and its consumption was slightly lower than that of identically equipped HP Probook 6440b (Review done by our polish colleagues). 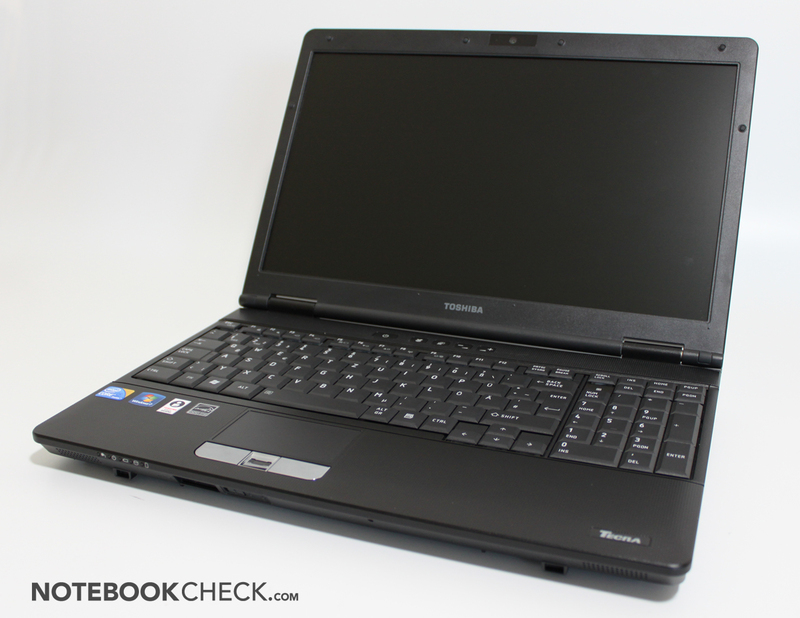 The Toshiba Tecra A11 is a cheap business notebook, which does what it is exactly intended for. The display has a matt covering and offers good brightness levels. The design is conservative and there are more than enough ports. Plus the keyboard is sturdy and well-designed. The system noise emission and the surface temperatures are well under control. The performance of the new Intel Core i5 processor is good for programs, but the graphics performance is restricted due to the integrated GMA HD. Only problem: business folk who need mobility will be disappointed due to the short battery life and the heavy case of the A11. The A11-125 model is specially designed for students and is available for a lower price of around 759 euros on Notebooks & More. The heatpipe can be cleaned via the installed flap. 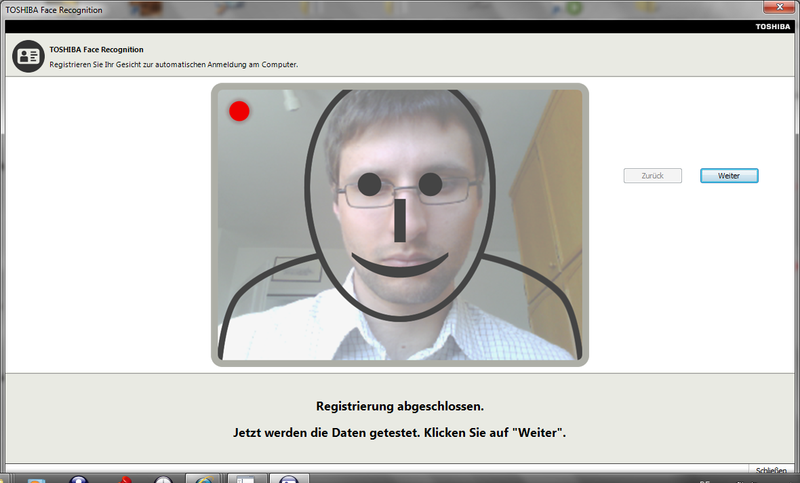 The in-built webcam offered good picture quality when used with Skype, however the microphone had slight disturbance. 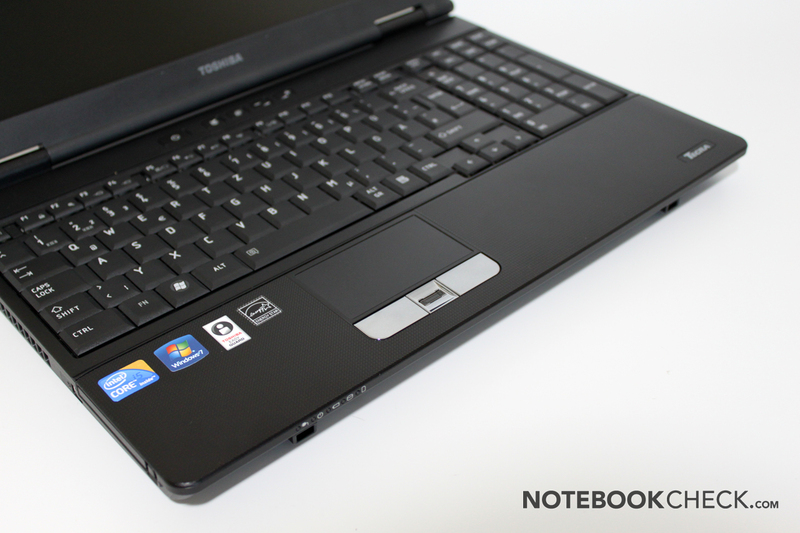 The keyboard of the Tecra A11 is well-sized and has a good feel to it. Even the layout is well-designed. A separate number pad is provided and helps when using MS Excel. However, the shortcut keys for the volume control are not that good. 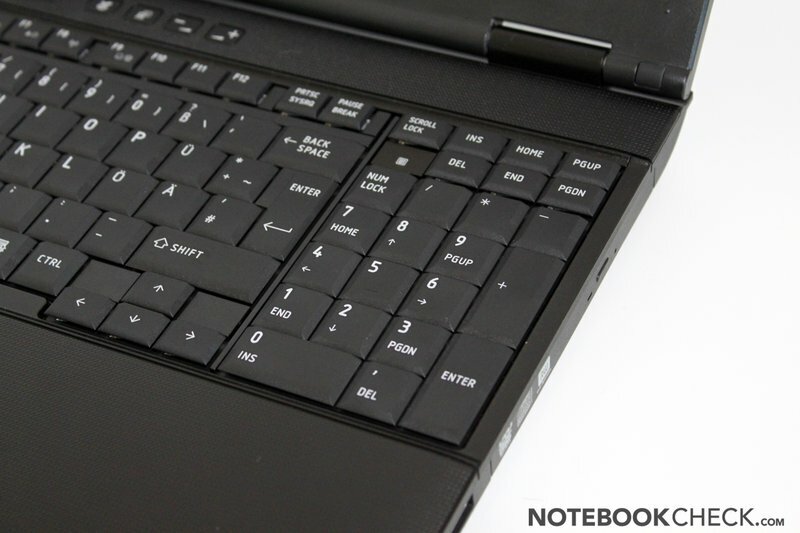 The touchpad is okay and the integrated fingerprint reader allows for additional laptop security. 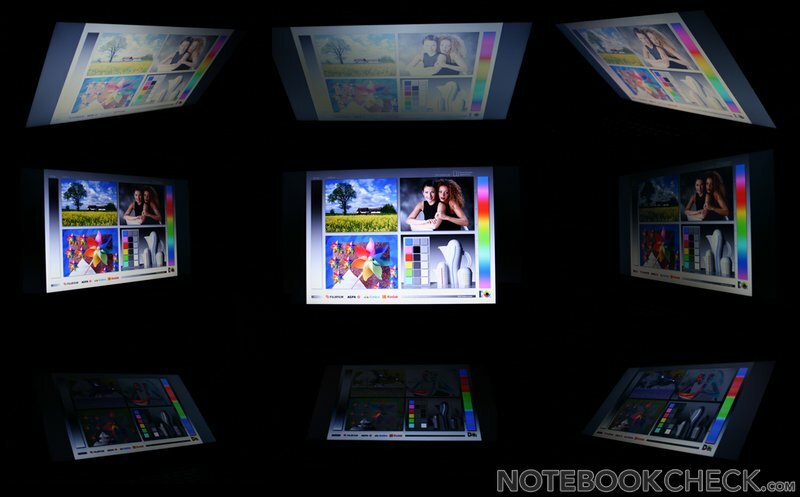 The matt display is bright enough and the viewing angles and the contrast are not that good. 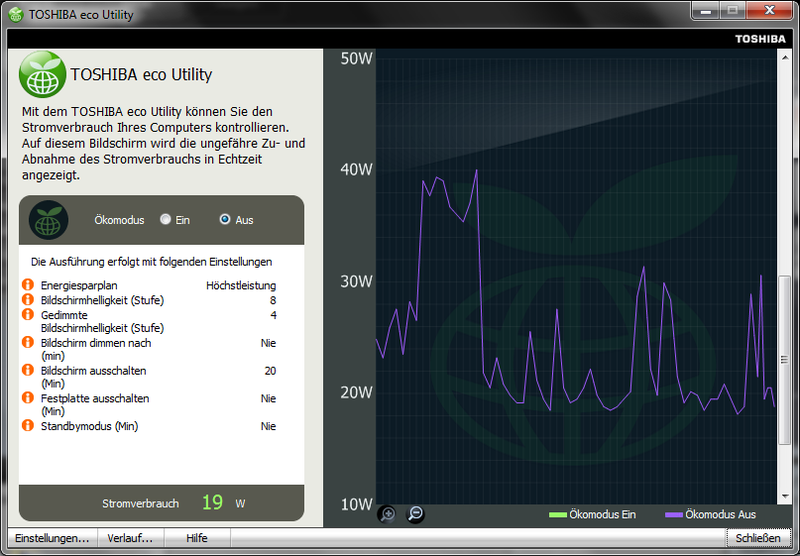 The performance of the Core i5 is very good but the integrated graphics chip is not that great. The loudness of the cooler fan is fine. 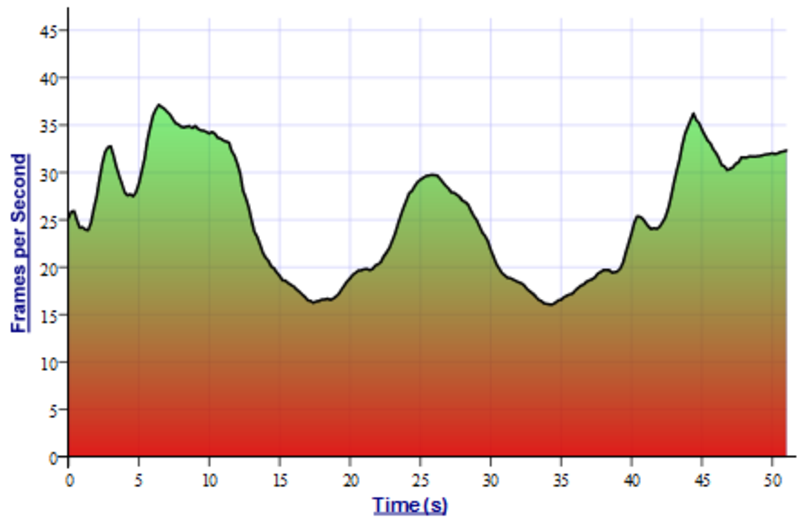 ... and on the bottom. ... which is not only a renamed consumer laptop. ... although the current trend is to place them slightly sunken. The surface is completely matt and has a nice design. The sturdiness of the synthetic material case is good enough for use. The connectivity leaves barely any needs unfulfilled. ... a rarely-used Mini-Display port. 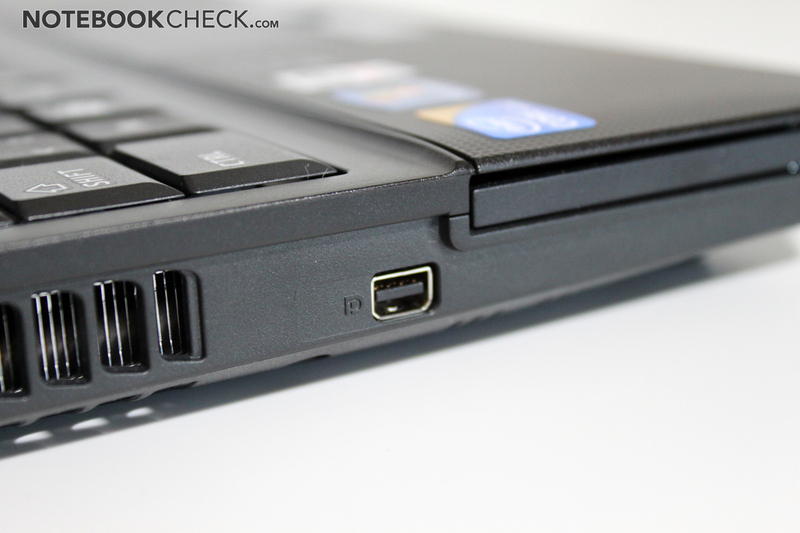 There are also ports on the back of the laptop. 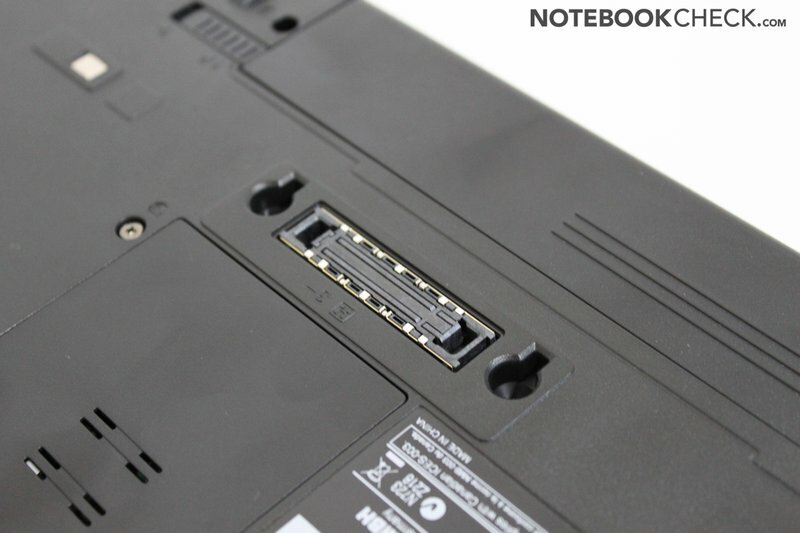 Most of the ports can be found on the sides of the notebook. The USB ports on the left side are able to "Sleep and Charge". The docking station is optimal for the Tecra A11. The relatively small 55Wh battery helps deliver 2-3 hours of performance without a power plug. 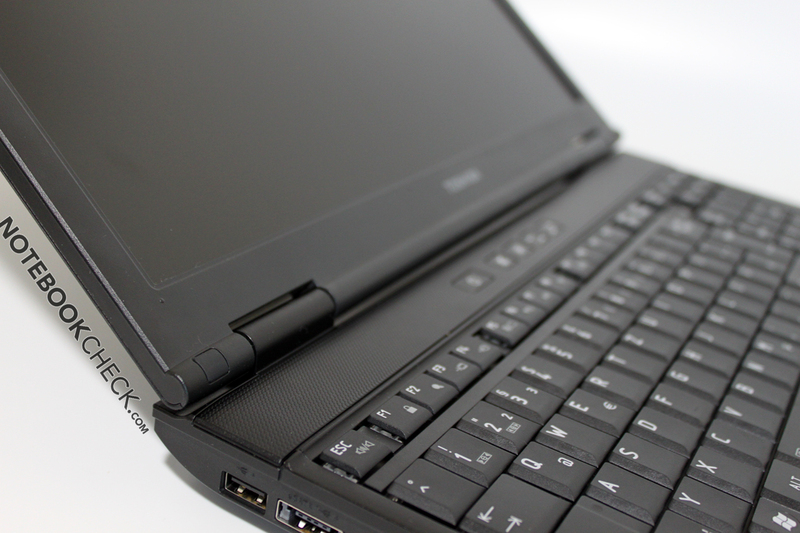 The reliable and waterproof keyboard in the traditional Toshiba "chocolate style" design. A higher-resolution display and a bigger battery. Why all the bloatware on a a business laptop? 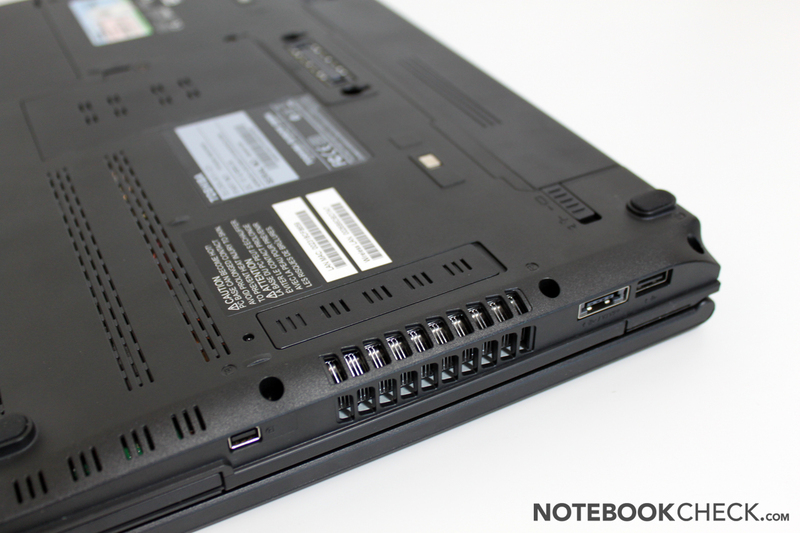 The HP ProBook 5310M, the to-be-released Dell Vostro laptops and the Lenovos Thinkpad SL510.